Remastered edition of this excellent platinum-selling collection from the rock icon. 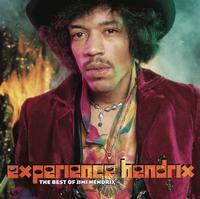 Experience Hendrix features some of the most influential and enduring rock classics ever recorded. Experience Hendrix: The Best Of Jimi Hendrix captures 20 of Hendrix's best including ageless classics like "Purple Haze," "Little Wing" and Hendrix's live adaptation of "Star Spangled Banner" from the original 1969 Woodstock Music & Art Fair.